TBP has racked up 18.5 million reads as of this writing (ETA: More than 22 million reads by the time I had taken it off Wattpad). There was a time when it didn’t have even a million reads. There was a time when it didn’t have a thousand reads, or even a hundred. When I started posting TBP, I didn’t have any followers on Wattpad because I was new and TBP was my first story. I gave my story title careful consideration. I was going to name it “The Price”, but since I saw that billionaire romances were quite popular on Wattpad, I figured people would be searching for the keyword “billionaire”. I also wanted to make sure people who searched for “romance” could find my story. So I titled it “The Billionaire’s Price (A Steamy Romance)”. See? It had two of my most important keywords in the title: “billionaire” and “romance”. I don’t expect all of you will be writing billionaire romances, so just work with whatever keywords fit your story: “bad boy”, “high school”, “love story”, “prom”, etc. NOTE: You don’t necessarily have to have keywords in your title. Sometimes a catchy, interesting enough title will work great. I gave my story a nice cover. It wasn’t the best cover ever, but I made sure it conveyed the theme of the story and the title and my name were clearly readable when it was thumbnail-sized. I actually changed the cover quite a few times, until I hit on a cover that people seemed to respond to. That is, I noticed I was starting to get more and more readers after I had switched to that cover. Because you can change your story anytime, you can experiment until you find the cover that readers like. I chose an appropriate category for my story and put in the right keywords in the tags. Keywords are the words you want associated with your story. As I mentioned above, two of my story’s keywords were “billionaire” and “romance”. My category was also “Romance”. If you have a story that falls under more than one category, you’ll have to choose which arena you’d like to compete in, and use the other category as a tag. For example, if you have a werewolf romance story, and you decide you want to be in the “Werewolf” category, make sure to put in “romance” as a tag. And vice versa. Put in the most important tags first (by “important”, I mean “words likely to be used by readers to search for stories”). I wrote a kickass description of TBP. Well, it seemed kickass to me, at least. It was short, it gave potential readers a feel for what the story was about, and gave them an idea of what my writing style was. Once a potential reader sees (and likes) your book cover and title and decides to check out your story, the next thing they will do is read the description. If I check out a story and I see the description is riddled with grammatical and spelling errors, I never read it. 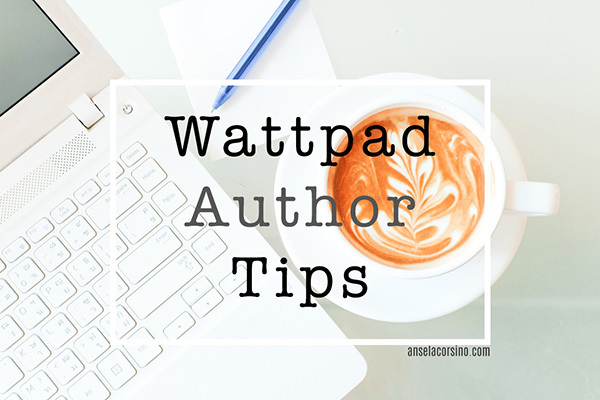 Not everyone is as particular about these things, but if you have a well-written story description, you’ll have more readers than you would if your description is awful. Since there was still a bit more space left for the description, I added a short scene from the book. You could try that, too. It gives people a taste of your story. If they like it, they might go on to chapter one. Which brings us to the next tip. I updated my story regularly. I tried to add a new chapter once a week, especially after I was getting more and more followers and readers. If you take too long to post the next chapter, readers will forget what happened in your last chapter and may not bother with the next one. Or they’ll get tired of waiting and quit your story altogether. Wattpad’s bots also reward stories that get updated often — the story is more likely to show up on readers’ recommended list. I hope you find these guidelines useful! Good luck and may the gods of fiction ever be in your favor.